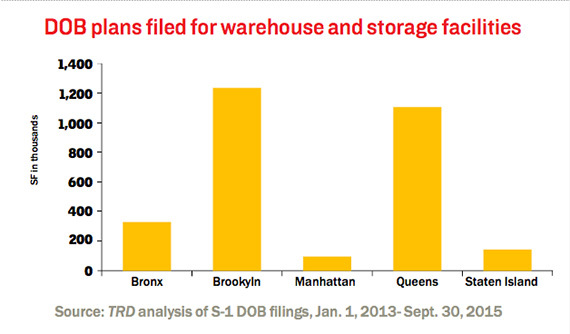 Construction of storage and warehouse projects is mirroring the development boom in Brooklyn and Queens. Developers led plans for more than 2 million square feet of such space there since January 2013, far more than in the other three boroughs. The largest Brooklyn project was a massive FedEx distribution facility in East New York developed by SunCap Property Group. 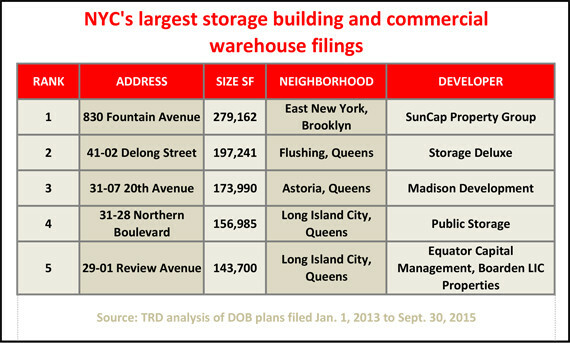 In Queens, smaller projects in neighborhoods like Flushing and Long Island City dominate, with self-storage provider Storage Deluxe the top filer. “You don’t see more in Brooklyn because the price of [manufacturing zoned] buildings and land has tripled over the last few years,” said Ofer Cohen, president of TerraCRG. 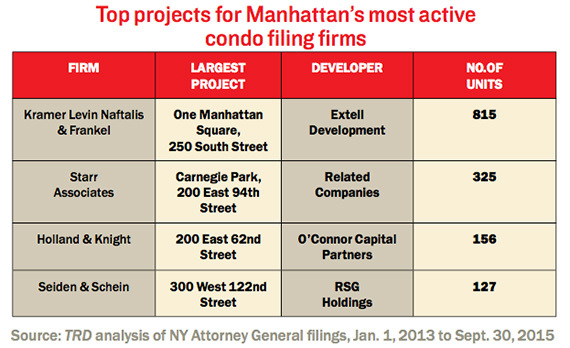 TRD also looked at which law firms dominated the field in filing residential condominium plans in Manhattan since January 2013. Five firms averaged more than $300 million sellout per project, with national firm Strook & Strook & Lavan and the real estate-focused Goldfarb & Fleece leading the pack.